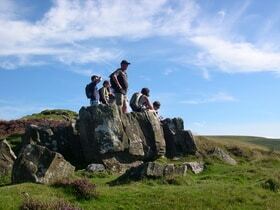 Our group helps local people enjoy walking and protect the places we all love to walk. 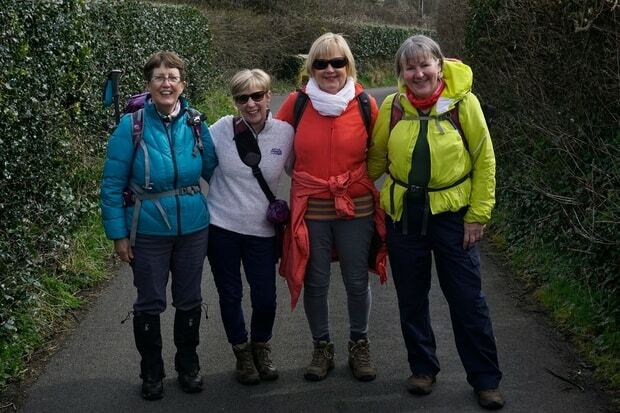 Our regular walks are led by our group walk leaders – all you need to do is follow them. It's a great way to get outside, make new friends and discover how walking boosts your health and happiness. You’re very welcome to try walking with us, or to get involved in looking after paths and green spaces and opening up new places to explore. We're a medium sized, active & friendly group. Our walks programme is varied. We are blessed to be close to the Heritage Coast, Gower, Brecon Beacons, plus the Welsh Valleys. Our members lead a walk every Sunday throughout the year and Wednesday evenings from April - August. Thanks to the efforts of some of our members, we have been able to offer shorter walks on some Tuesdays throughout the Winter months (October - March). We regularly walk the footpaths of our home patch and try to maintain their quality by organising path clearance evenings in the summer, followed by recuperation in one of the Vale’s many fine hostelries. Our social calendar includes quiz nights, group meals and weekends away. Lace your boots up and come and join us!